In football withdrawal? 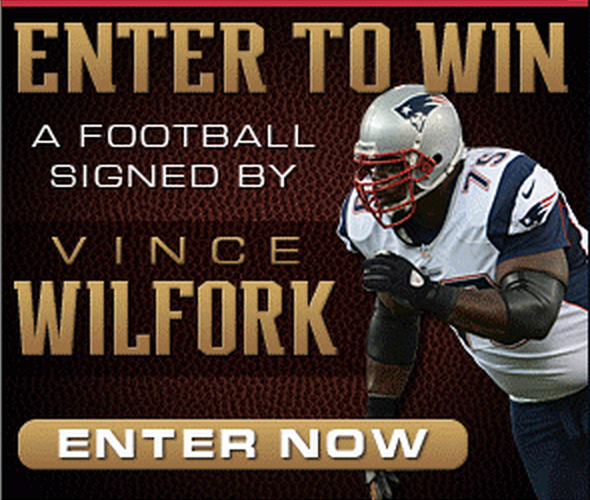 The New England Patriots are giving away a football signed by Vince Wilfork to brighten up your offseason. You must be a Facebook fan of the Patriots to enter. And this ends at 5:00 p.m. (ET) on February 28, 2014.